If you have any questions please contact the chapter office at: 888-963-6595. Colonial PVA realizes that sports and recreation is a valuable rehabilitative tool which is effective in rebuilding self-esteem and self-confidence as well as promoting the health and welfare of its participants. 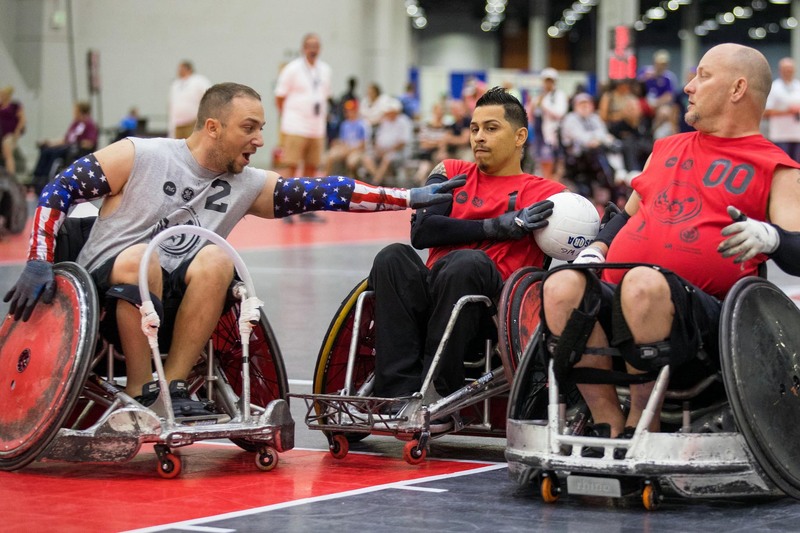 The Paralyzed Veterans of America, Colonial Chapter is a direct or supporting sponsor of local and national competitions of most major wheelchair sports in the United States including, basketball, bowling, track and field, tennis, hunting, fishing, snow skiing and trap shooting. Colonial PVA also annually participates in the PVA National Trap Shoot Circuit, hosting the Keith Lewis Memorial Trap Shoot at Carney Rod and Gun Club in Baltimore, MD in June of each year. This is a unique event where shooters with disabilities and able-bodied shooters compete as equals in the recreational sport of trapshooting. Colonial PVA’s sports program has many dimensions. We provide information, sponsor training sessions, and support the concept of sports as a rehabilitative tool by providing our membership and the disabled many opportunities to compete and participate in sports and recreation events on a regular basis. Advocacy in the community is a major, ongoing concern. Working with other veteran and disability groups has increased public awareness of the potential of paralyzed and disabled persons in the workplace and in the community. Board members and staff are available to assist the newly injured spinal cord patient by way of a mentoring process which encourages education and employment and teaches skills for coping with a new disability. 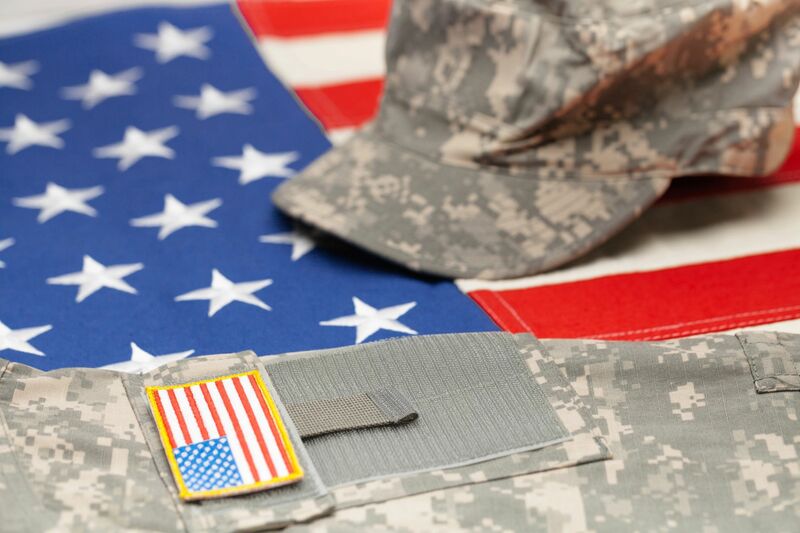 Paralyzed Veterans of America service officers represent the majority of our membership before the Veterans Administration with regard to claims for benefits. To further serve veterans, the Colonial Chapter has several trained board members who are certified Voluntary Liaison Officers (VLO) and who provide service to veterans. The VLOs also provide assistance and advice to members and other veterans who are homebound and have no transportation. In addition, the Colonial PVA office provides information, services and referrals to our membership and others on a daily basis. 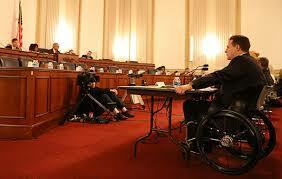 Colonial PVA maintains constant liaison with VA officials in order to keep abreast of changing issues. The chapter has VAVS representatives and deputies in VA Medical Centers who regularly attend VAVS meetings to serve the needs and concerns of the veteran patients. Colonial PVA also contributes various sundries for patients, canteen books and daily coffee for the hospital recreation rooms as needed. Contributions to administrative medical service departments are made as needed. 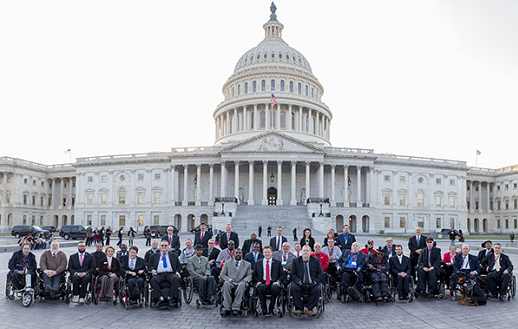 Paralyzed Veterans of America, Colonial Chapter continually represents its members and others with disabilities at all levels of government; local, state and national, helping to defend and ensure our civil rights in all areas. We continually monitor VA funding to keep our legislators up to date on what’s happening locally at our VA hospitals, helping to ensure adequate and quality medical care for our veterans. Colonial PVA is constantly working with other disability groups to help ensure that compliance with the ADA in all sectors of society is enforced.